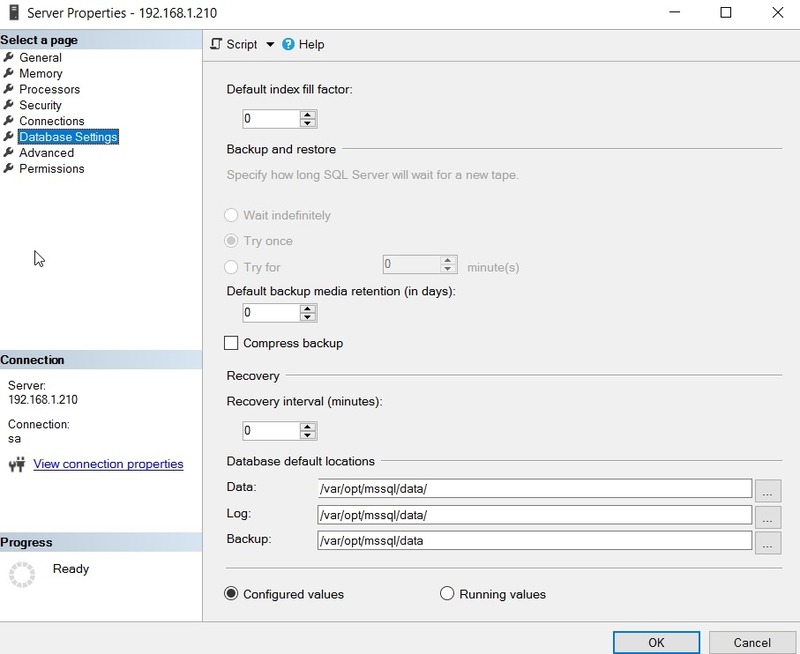 SSoL: Where are my data and log files? I don’t think most of us need to know Linux, but if you end up managing a system, it’s good to have a little idea of how to get around. This is a short series of posts as I remember the skills I used to have back in university. This is easily documented, and once you start working, you’ll learn this, and it is documented, but after a few weeks when I actually go into a Linux VM, sometimes I forget. Most of the time I connect with SSMS, and it’s just another server. 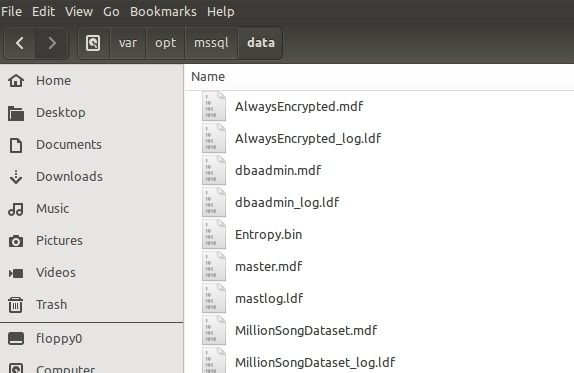 Data and log files are stored in /var/opt/data. You can see this in SSMS by selecting the properties of the server instance. This entry was posted in Blog and tagged Linux, sql server, syndicated. Bookmark the permalink.